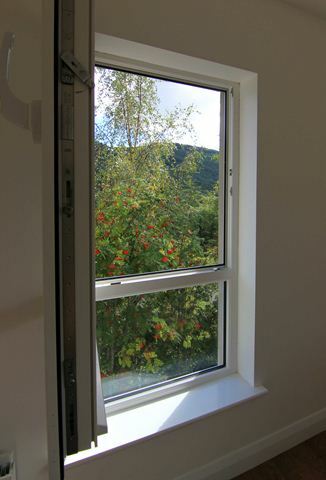 Step in through the front door of the modern designed Slieve Roe (completed 2014), and your eyes are immediately drawn back outside and down the valley. 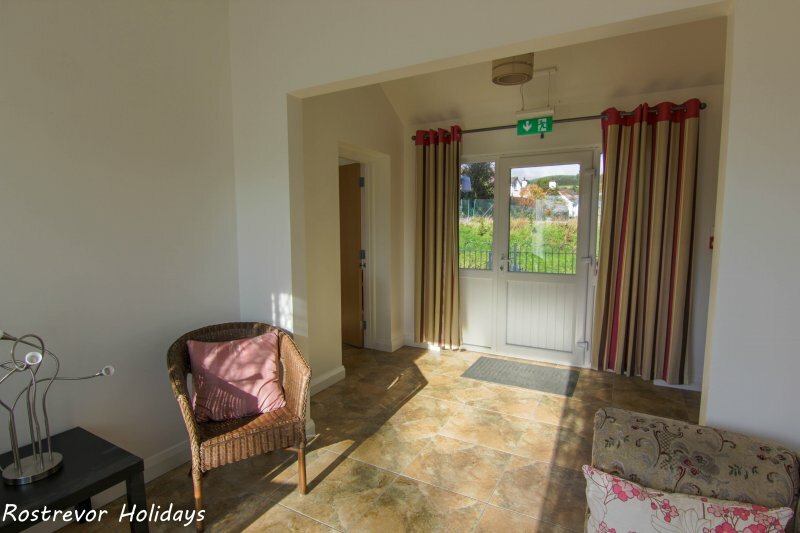 The sun room in the main entrance hall is an ideal place to sit and read a book in the evening, whilst watching the sun set over the Cooley Mountains. 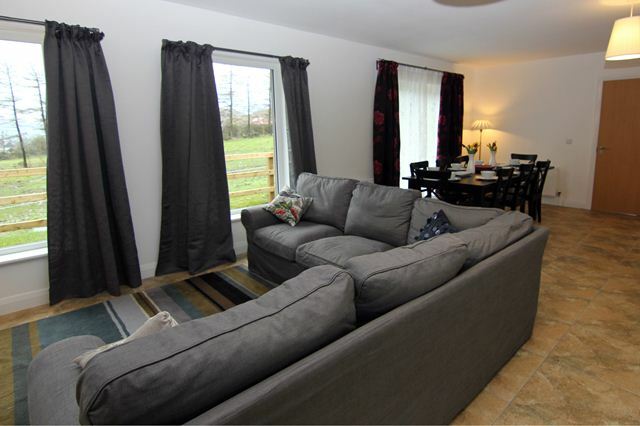 To your right is a large open plan living area, with large windows to make ever advantage of the beautiful views over the rolling green Irish countryside. 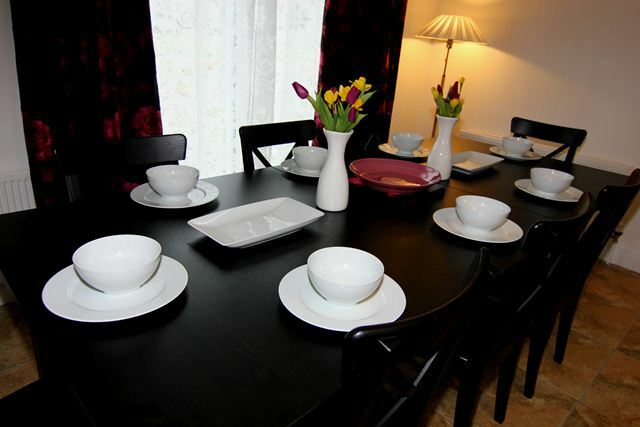 Plenty of seating affords you the chance to sit with your group of friends or family, and simply “catch up”. Again at meal times, the spacious dining table easily seats 10, with a well furbished kitchen saving you the need to head out. 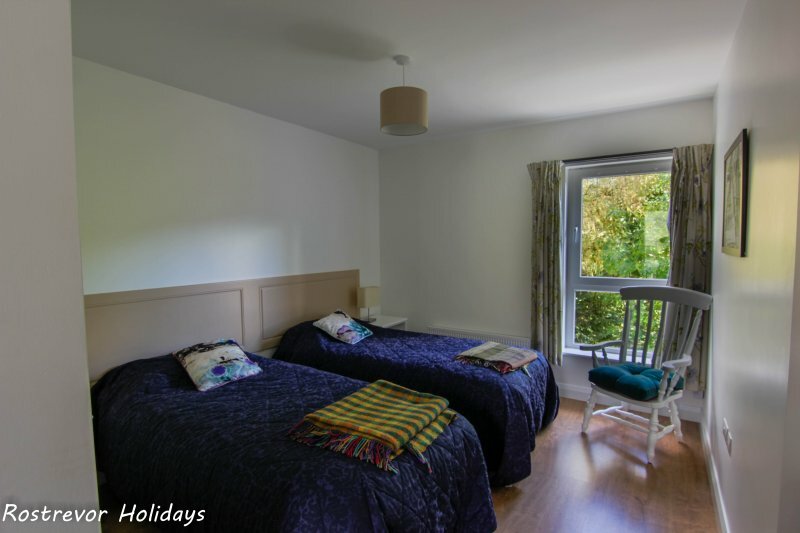 To the left of the house is the sleeping area, with 4 spacious en-suite rooms, with comfortable twin beds in each (the comfortable beds is something our guests comment on regularly). 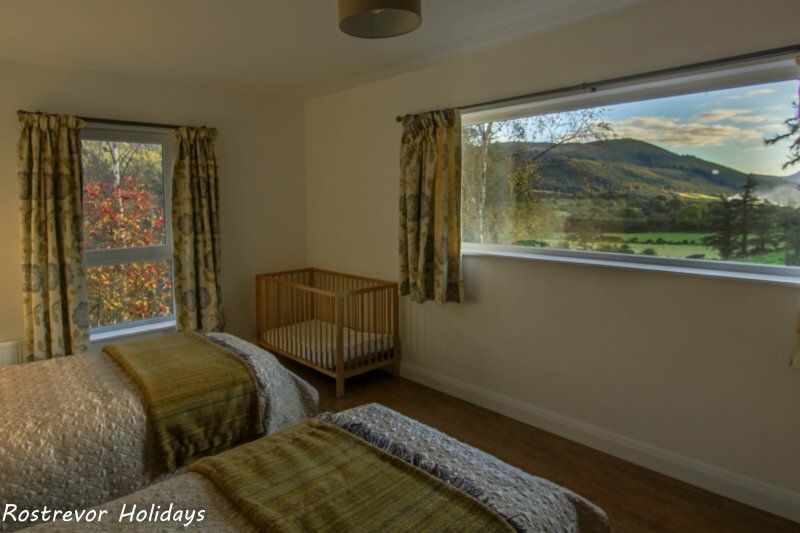 The main bedroom boasts a large window with superb views across to the Mourne Mountains; or gaze out of a window in each of the bedrooms onto the tall silver birch and rowan trees, and listen to the morning chorus of the birds. Our blackout curtains mean you can sleep on in peace if you wish. 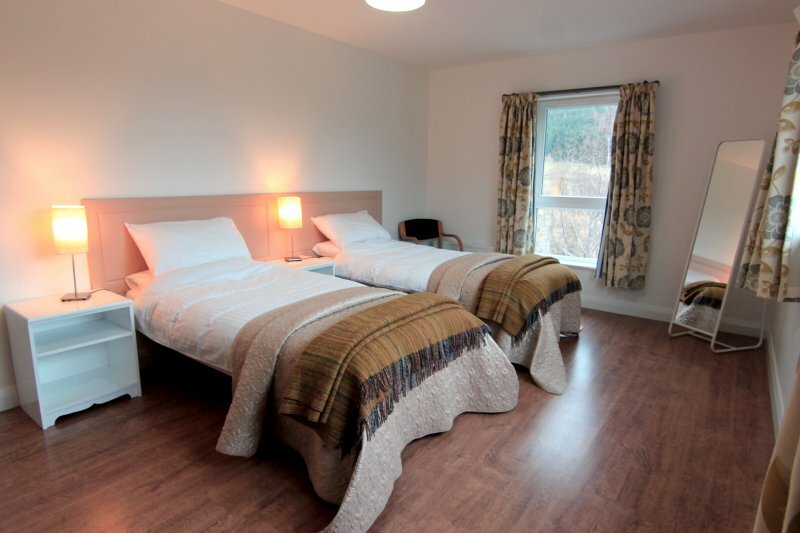 Each of the bedrooms has an ensuite. 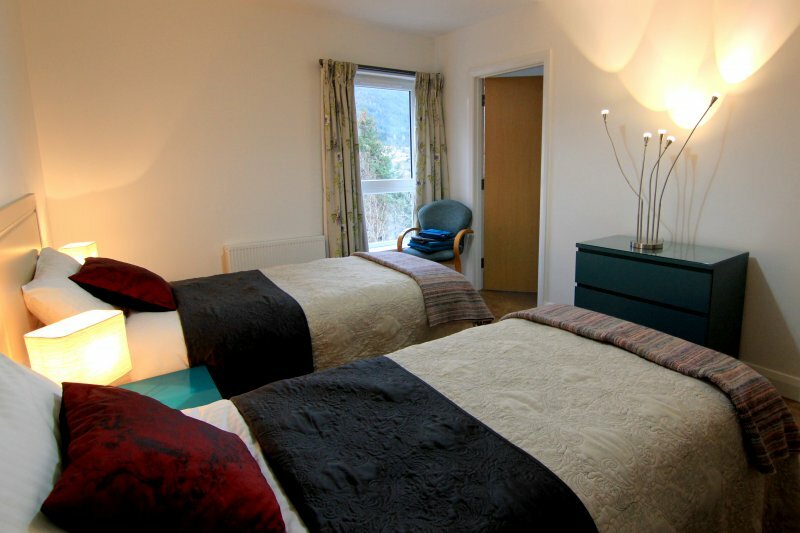 The main bedroom has a bath, with shower over head, whilst the remaining three rooms have powerful showers. All bedrooms are lockable from the inside. 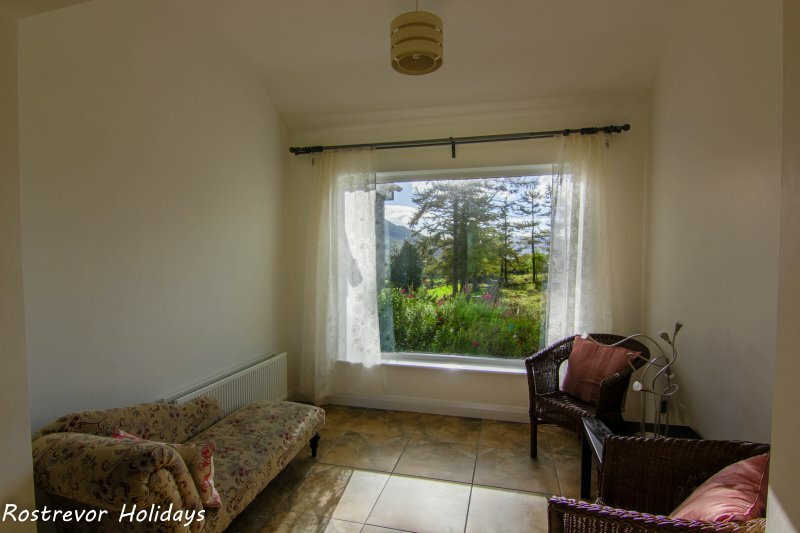 As a lot of our guests come to Rostrevor to mountain bike or enjoy the walking that the Mourne Mountains has to offer, we built this latest house with an additional “mud-room”. 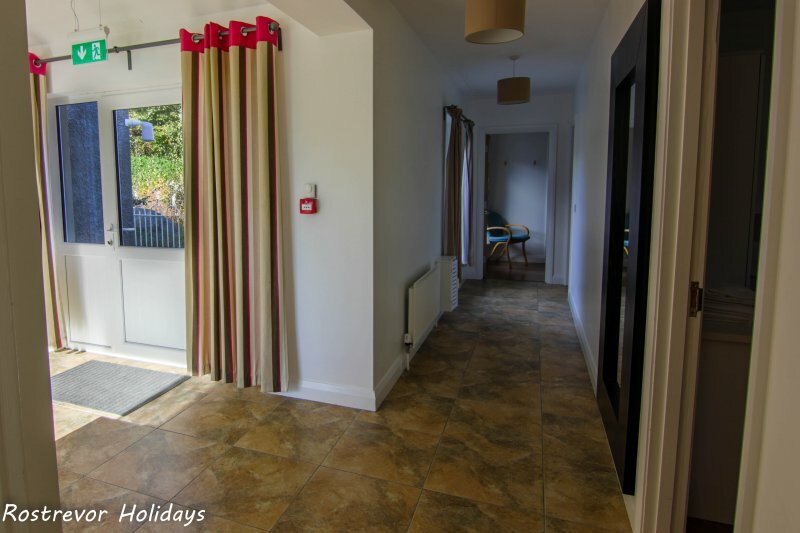 Situated to the back of the house, this large utility room has a separate WC, and shower, separate washing machine and drying machine, and a sink and preparation area. 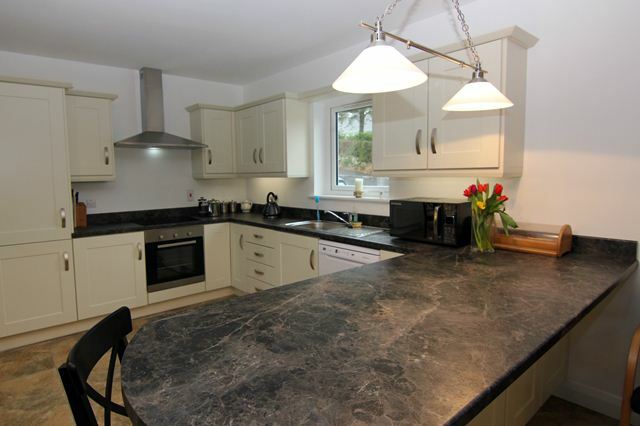 This house has 4 ensuite bedrooms, sleeping 8 in total. 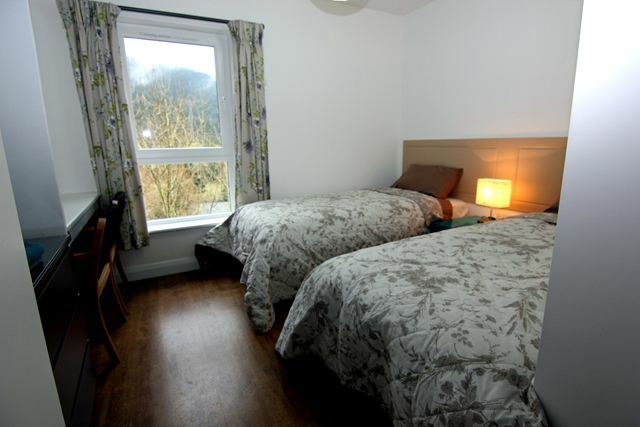 The master bedroom has a bathroom, whilst the other rooms all have showers. Beds are made up, and towels are provided. 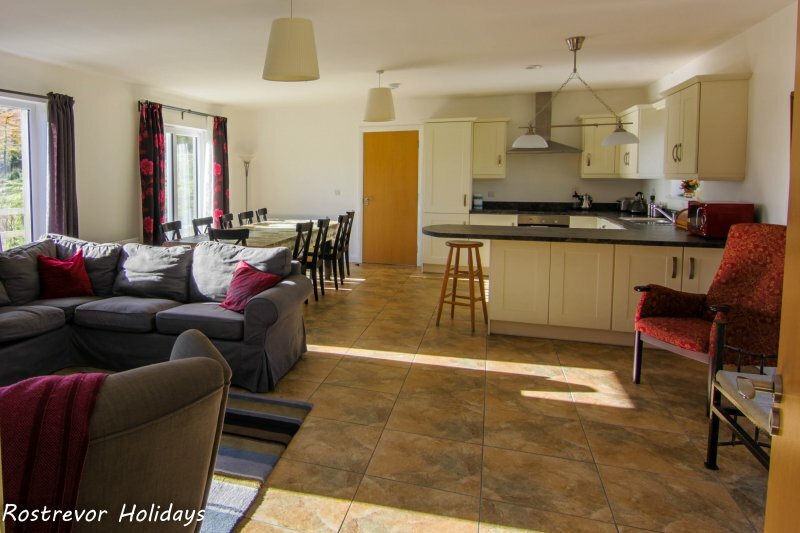 The large kitchen living area has seating for 10. 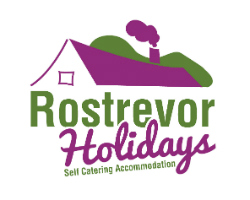 Kitchen is fully equipped, with oven and 4 ring hob, microwave, dishwasher, a separate washing machine, and a drying machine. Freeview TV in the living room. You can find further information on our F.A.Q page. We have full-size wooden cots available for use. Please request at booking. This house is on one floor, with a ramp access to the back door, and step at the front door (can park directly outside back door).